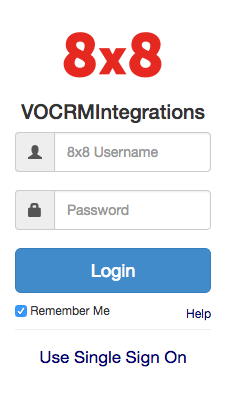 Virtual Office for Salesforce | 8x8, Inc.
First log in to Salesforce. If your company uses Single Sign On (SSO), you can log in from the Virtual Office application panel. Make sure that your softphone or desk phone is connected and logged in. The Virtual Office for Salesforce Application’s Communication Panel has three tabs and a dropdown menu. The Phone Tab gives you access to the dial pad. The Call Log Tab provides a view of recent call activity. The Directory Tab lists company and Salesforce contacts. The Menu allows you to change settings, access help, and more. 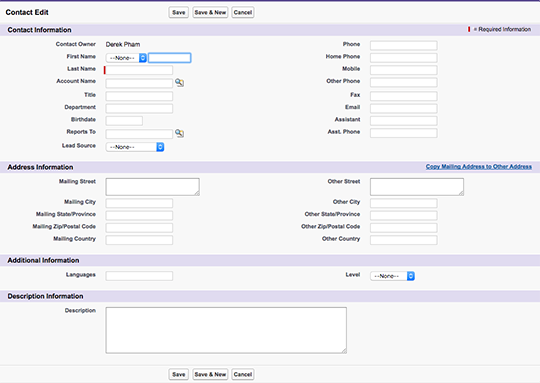 To add a contact, select the Directory Tab in the Communication Panel, and then click the Create New > Contact. If you are adding an unknown contact after a call, you will be redirected to the Assign tab to add a new contact. You can make a call in two ways: dial the number in the Phone Tab, or click on the Outbound Phone Icon when hovering over a contact’s name in the Directory tab. When receiving a call, an inbound call panel will appear. Click Accept to answer the call or Decline to reject. When your call ends, Virtual Office for Salesforce automatically creates a call log to help you organize your call details. If your call is unassigned, you will be moved to the Assign tab to assign your call to a new or existing contact. If your call is assigned, you will be moved to the Notes page where you can add additional information regarding the call. After you have assigned your call to a contact and have been moved to the Notes page, you can schedule a follow up task. Once the task is set, you can find it under the My Tasks section in your home page.